I recently graduated from the LiveStrong program at the West Suburban YMCA. And when I say, graduated, I mean that both literally and figuratively. The program ran for 12-weeks with two 75-90 minute sessions per week and included cardiovascular conditioning, strength training, balance, and flexibility exercises. I have to confess that at times during the first few weeks I’d peek at my watch, and wonder, how much longer? I dreaded the sound of another repetition, “10-9-8-7… breathe. Are you breathing?” Sometimes, I wasn’t sure that I was! As a 20+-year survivor of Chronic Lymphocytic Leukemia (CLL) and more recently, breast cancer, the program fulfilled my desire to start moving again, and refrain from those highly addictive long afternoon naps. Other than walking my dog for the past 15+ years (we’ve both aged considerably) and attending a once a week level 1 yoga class, I hadn’t considered an exercise program for fear that I wouldn’t have the endurance to keep up. After recovering from surgery and radiation this past fall, I felt physically and emotionally depleted. Then, the cold nasty New England winter weather added insult to injury making me feel particularly isolated and tired. Unlike other times over the years when I was bouncing back from the effects of treatment for CLL, this time something was different. I knew I needed help. I expected she might give me a few handouts with a list of exercises and suggestions for outfitting a home gym. Maybe even a link to a YouTube video or two—things that would have been appreciated but still challenging to jump-start on my own. Instead, with a glint in her eye she asked me if I’d ever heard of the LiveStrong program at the YMCA, a program designed specifically to help cancer survivors get back on their feet post-treatment. She gave me the name and phone number for Jane Carroll, the Health and Wellness director at the West Suburban YMCA in Newton. As I left the hospital that day, clutching the piece of paper with Jane’s contact information, I felt like I was Charlie in “Charlie and the Chocolate Factory,” and had just found a golden ticket. One week became two, two became three, three…well three became the framework, a building block, something I could latch my hopes onto. Something tangible. I didn’t just have goals; I was pursuing my goals and felt physically and emotionally invigorated. Empowered. Week after week I could see a marked difference in my abilities. 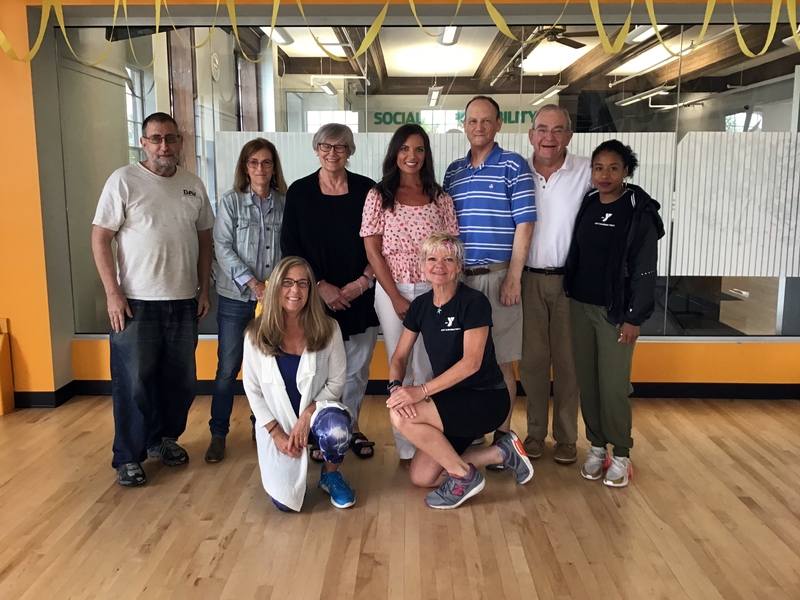 Training under the guidance of four passionate trainers with other cancer survivors LiveStrong started to feel like a big extended family. The isolation I had experienced was beginning to drift away. My cancer fatigue was lessening. While my co-participants and I were all survivors of cancer with our own war stories there was an unspoken understanding. We were here because of cancer but we didn’t need to talk about it. Not formally any way. A few offhand remarks to one another every now and then provided a mutual understanding. Trust. A bond. We had set goals to improve our health and emotional well being. And we did it. Together. A group. Individual participants, Trainees of the kindest, most giving trainers anyone could ask for. Twelve weeks later, I’m stronger. Living stronger. And a proud LiveStrong graduate.